At the end of 2018, the government set aside £1 million for creating “Pocket Parks” throughout England. The scheme is for you to create a green oasis which can help improve the physical and mental health of the communities using them. If you are interested in applying for a grant, you have until 5pm on Friday 25 January 2019 to submit your applications. More information can be found here. So why am I writing to you? 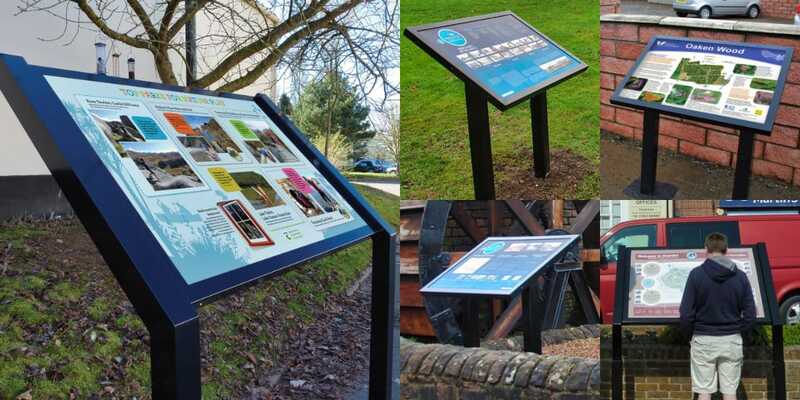 You can include an information panel such as a lectern or noticeboard as part of your grant. Our steel range of signs are produced with aluminium and are powder-coated in any colour you want. They range in size from A0, A1, A2 and down to A2, A3 and A4 pedestals or bespoke sizes. The legs, supports and pedestals are fixed directly to the display panels making the signs incredibly robust. If you need a written quote or more information on our range of products, please drop me an email at web@noticeboard.company or call me on 01539 628309.